Do you want to mirror android phone screen on TV? If yes, then You caught a right place. Today I will provide you 4 best ways to connect android phone to a TV in a very easy manner. You will easily mirror your android mobile screen on TV after applying any of the procedure described below. Everyone wants to mirror the android screen on TV, as Modern android smartphones are powerful devices with great multimedia and processing capabilities for connecting Android Smartphone to TV. We are practically carrying computers in our pockets and maybe that’s all you need. You can carry out most everyday tasks on your smartphone. However, despite growing screen sizes, there is a limit to the display sizes. Not many people can enjoy a video at the same point on a smartphone. Let us help you transfer your smartphone display to your TV. You can easily sit back and enjoy your favorite movies and TV shows via your handset. This trick is particularly useful for accessing streaming services like Netflix or Amazon Prime without a streaming box and mirror Android mobile screen on TV. Bigger crowds call for bigger screens, though: here’s how to connect your Android tablet or phone to yourTV without spending a fortune or drowning in a sea of cables. We live in a golden age of content thanks to streaming services such as Netflix and Amazon Prime Video. However, this isn’t so good when you want to share the experience with multiple people. Your TV is perfect for this and we’ll explore your options when it comes to getting your mobile content on the big screen. We’ll also look at the services that will let you share your subscriptions, photos and videos on the big screen – and those that won’t. The wireless solution is the easiest way to play your smartphone content on your TV. The Chormecast dongle uses your Android device to stream content. Basically, it casts your smartphone screen to your TV. The cheap solution is compatible with most Android and iOS devices. You can easily cast videos from Chromecast compatible streaming apps (Netflix, Hulu, etc) to your TV screen. It is quite easy to setup Google Chromecast. Just plug the dongle into your TV and attach the power cable. Download and launch the Google Home app. Once the app detects the Chromecast, you will be able to establish a connection. The Chromecast alternative is a little comparatively expensive option. The new Roku boxes support casting. The wireless solution allows you to easily mirror your smartphone screen on your TV. However, both devices need to be on the same network. Other third-party options include Belkin Miracast Video Adapter and the ScreenBeam Mini2 to connect Android Smartphone to TV. This is the cheapest solution on this list. However, it is not commonly available. If your Android device features a Micro HDMI port, all you will need is a Micro HDMI to HDMI cable (costs almost same as a regular HDMI cable). Once you connect the cable to both ports, just switch the TV’s source to the HDMI port via TV remote. That’s it. Make sure your smartphone is in landscape mode. The only side-effect is that you won’t be able to use your handset while watching content simultaneously. HDMI plugs come in three sizes. Regular HDMI (or Type A, left) is the full-size ports you’ll find on devices where space isn’t an issue: think TVs, laptops and games consoles. The sockets you’re likely to find on tablets and phones will be either Type C (also known as Mini HDMI, middle) or Type D (Micro HDMI, right). Of these, Micro HDMI, or Type D, is the smallest. A decent range of tablets has either HDMI or its miniaturized variants. The Acer Iconia A1, Tesco Hudl, Archos 80 Titanium and Nokia 2520 – among many, many others – all offer it. It’s the most straightforward approach. MHL or Mobile High Definition Link is basically a ‘Micro-USB to HDMI’ adapter. 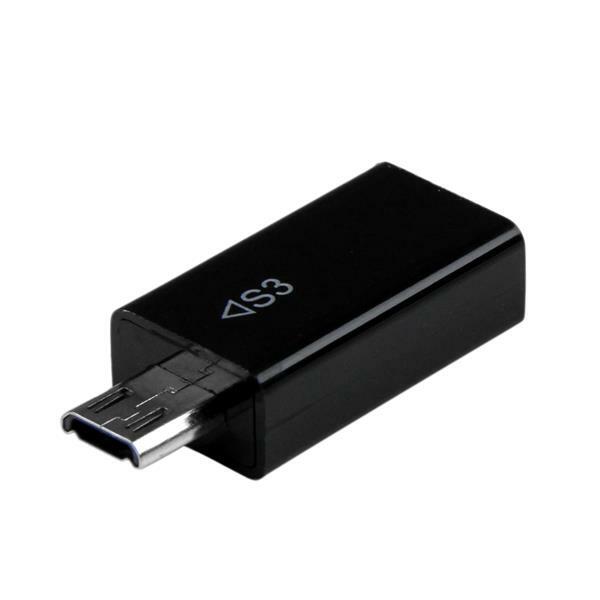 It is perfect for devices which don’t have a micro-HDMI port. However, before getting one of these, make sure your device supports MHL. For example, new Samsung devices don’t support MHL and other protocols for sending video and audio over USB. You can find a list of all mobile devices that support MHL here. This solution works in a similar fashion as the ‘Micro HDMI to HDMI’ Cable connection. All you have to do is make sure your smartphone is in landscape mode. For connecting Android Smartphone to TV :- Connect the MHL device to an MHL-to-HDMI adaptor, and connect the adapter to a USB power supply. Connect the adapter to a TV using a HDMI® cable. The MHLicon appears on the status bar of the MHL device after a connection is established. Set the TV to the HDMI input. The new technology works with a range of devices, from smartphones to cameras. It can easily pass audio and video to a television or monitor. However, the growing SlimPort tech is limited to few devices (Samsung Galaxy S8, LG V20, Amazon Fire HD tablets, etc) as of now. You can find a list of all mobile devices that support SlimPort here. To setup SlimPort to mirror Android Smartphone on TV, you will need a SlimPort adapter and an HDMI cable. It also works similar to the Micro HDMI to HDMI’ Cable connection. So friend, above are the 4 best ways to mirror android phone screen on TV. I hope you like this article and succeeded to mirror android screen on TV. In case you had encountered any problem regarding connecting android phone to TV, then you can leave your query down below and I will try to solve your query as fast as possible. If you liked it, then you can share this with your friends and family. Will meet you again in our next article, Till Then, Bye friend.